December 1, 2016 – Vancouver, BC – Two companies – VFX studio Darkhorse10 Pictures and social-foodie tech company FanDine Technologies – announced their launches at the Vancouver Economic Commission’s (VEC) 4th Annual Canada–China Business Forum. 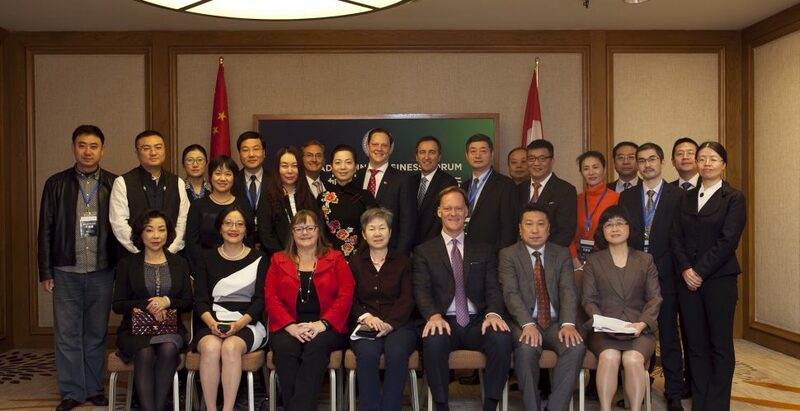 They were warmly welcomed by the City of Vancouver, the Consul General of the People’s Republic of China, the VEC, a delegation of Chaoyang District officials and prominent representatives of Vancouver’s investor community and Digital Entertainment & Interactive (DE&I) industries, all of whom had gathered at the forum to strengthen business ties to the Chaoyang District of Beijing. Events like the Canada–China Business Forum encourage Vancouver businesses to build the much-needed relationships that business dealings with China rely upon (guanxi). This year’s theme was a spotlight on opportunities for investors across the Pacific and key businesses from Chaoyang to investigate Vancouver’s thriving film, TV, VFX, animation, virtual and augmented reality (VR/AR) and video games sectors. The result of one of those years-long trust-building relationships, newly-arrived Darkhorse10 Pictures Inc. is a VFX-provider looking to build Vancouver’s reputation as an IP-creation centre by using VFX-driven storylines with international appeal. The new studio and production company has already secured substantial foreign direct investment (FDI) through its partnership with Plusmos Film Technology. “We have a vested interest in building the next generation of storytellers with original content out of Vancouver,” said Jason Dowdeswell, Darkhorse10’s co-founder and CEO. “Vancouver is a mecca for VFX and animation talent in a global industry and we are fortunate to be able to assemble our team from a workforce of over local 7,000 creatives.” Dowdeswell is a Vancouver VFX veteran seasoned by years at luminary studios like Sony Imageworks, Industrial Light & Magic and Image Engine. Executives from FanDine Technologies Ltd., recognise Vancouver’s diversity as a strength; Vancouver is renowned for having the highest concentration of expat ethnic Chinese, Japanese and Korean peoples in the world outside of any non-Asian city. As such, it offers a natural appeal for people from the Asia Pacific region, especially business leaders who prize human connection and support from a community of existing business networks. For companies like FanDine, who hope to use food as a platform for increased cultural exchange, the winning combination of Vancouver’s diversity and its world-renowned food culture are hard to deny. FanDine Technologies Ltd. is an restaurant database and social network tech platform where customers may use the proprietary app to search for food and restaurants and place orders. Users who share reviews of their favourite restaurants with friends are rewarded by FanDine’s frequent foodie system. The Canada–China Business Forum can trace its origin to 2013, when Mayor Gregor Robertson and the Vancouver Economic Commission led the largest ever Vancouver trade delegation to China. There, the VEC signed an agreement with Beijing’s Chaoyang District government to foster long-lasting economic benefits for both cities. The annual business forum, which alternates host cities between Beijing and Vancouver, is one of the most important implementations of that agreement. For more information, please refer to attached agenda and brochure. For interview requests, please refer to media contacts. The Asia Pacific Centre (APC) was established in 2014 with the goal of building and strengthening ties with markets, customers and investors in the Asia Pacific Region and bridging the gap between investment interest in the region and available opportunities to do business. The APC offers a deep knowledge of the economy and industry-specific business intelligence, coupled with a broad understanding of the political, historical and cultural contexts that help create opportunities and expedite deals. Established in 2016, the founders of Darkhorse10 Pictures Inc. are Liu Jia, President of Hangzhou Plusmos Technology Motion Picture Group, Jason Dowdeswell, CEO, and Greg Herbert, CFO. Darkhorse10 is headquartered in Vancouver’s Yaletown neighbourhood. FineDine Technologies is dedicated to building a global platform for international food and cultural exchange by comprehensively linking food related people and events. FanDine’s Vancouver headquarters comprises 30 employees in the Gastown neighbourhood.